This video is inspired from the special method of filmingâ€”one shot. A â€œone shotâ€ is any video which consists of action, continuous time and space, from the perspective of a single camera. 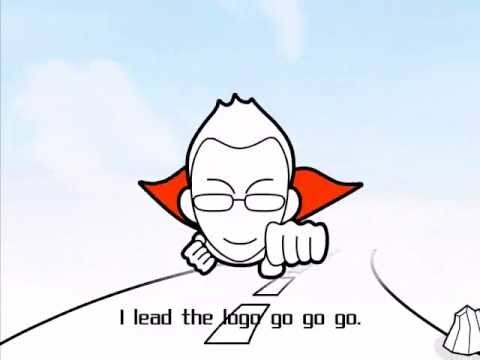 So our Director creates a cartoon logo designer as the character of the video. The designer walk along the way in front of the camera, telling what is Sothink Logo Maker Pro and what does Logo Maker Pro can do. Logo Maker Pro is a graphic design software that is easy and fun to use. For green hand, it has rich resources and logo template that help finishing logo in minutes; for professionals, it has expert graphic drawing tools, multiple color solutions and plentiful effects that making awesome design works. The features of Logo Maker Pro make workflow a pleasant design process. Like the designer in the video, you can really enjoy walking on the road of design. Thanks for watching and have a nice day. This entry was posted in Sothink Logo Maker Pro and tagged graphic design program, graphic design software, graphic design tool, logo design, logo maker by benny. Bookmark the permalink.